I think the goal of any small business owner is to make their products a little BETTER and still a little CHEAPER to their customers. We talk of customer service being the central strategy for small business owners, and we think of that in terms of interaction with our customers: problem resolution, building a relationship, personal attention. However, when boiled down, customer service, serving the customers, can also be tied directly to the product: give them what they want at the best price. That! is what will get them to buy from you. As we get more efficient in producing and delivering our products; as we hammer our suppliers for better pricing; as we get more niche focused, we will have savings to pass along on products that are ever improving. 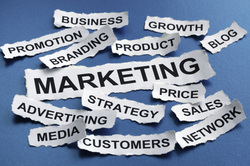 It’s a marketing evolution that will help a small business owner increase sales, market share, and happy customers. Is Your Banker the Drive Through Teller? As part of my consulting program and the Dashboard, I ask business owners, “What will it take for you to reach your Big Picture Goal?” One of the key areas in answering this question is Finances, and invariably an answer is either ‘I need a loan’ or ‘I need a line of credit.’ I follow that one up with, do you know your banker? One client answered, ‘My banker is whoever’s at the drive-through teller!’ That can’t be your answer. Once, I was sitting in a meeting with a client when his phone rang. He saw the Caller ID number and had to answer it. “Okay…okay…yes…alright…thank you!” It was his banker, calling to tell him he was about to bounce a big check. He looked at me, apologized for having to run, and headed out to collect a receivable to cover the check. Now, proper bookkeeping might have prevented this, but the point is this person knew his banker well enough for his banker to make that call and save him an overdraft charge, if not something more embarrassing. Would your banker call you, or is your banker the drive-thru window? I’d recommend heading straight out to your bank and start building a relationship with the team there. I saw a truck the other day that was wrapped bumper to bumper in bright yellow and red, for a painting company. It was quite a change from the typical paint-drip decorated white pickup with ladders you normally see a painter driving. What stuck out to me most was the marketing effort, again rarely seen in the painting business. It made me think that this business was a marketing business whose product is painting houses. 1. I’m in the Customer Service Business! I’ve always said that Southwest Airlines is in the Customer Service Business. Their focus is on the passenger. I’ve even contended that if you were to take away their airplanes and give them, say, running shoes, they would continue on without a hitch, because they are in the customer service business and simply use their products to deliver that special experience. One of my favorite lines is, “We don’t want to tell YOU we have great customer service, we want YOU to tell OTHERS!” Know where that came from? 2. I’m in the Sales Business. Again, this business is not about the products, but is about building relationships with its customers. The focus is on creating a finely tuned sales machine that increases that top line each month and each year. When product is considered, it is designed with the sales process in mind. I might put Amazon.com in this category. They have built a great sales machine. They keep adding new products without a hitch because their sales system works so well. 3. I’m in the Marketing Business. Proctor and Gamble is in the marketing business. They know how to create products driven by their market, get it positioned right in front of them, and get the word out so that their customers flock to purchase thier products. They are not about the ‘best widget available!’ They are about marketing. So, am I recommending that you become a Sales, Marketing or Customer Service Business? Yes! However, I’m not asking you to abandon your core strength, which is creating products that satisfy your customers’ needs. I’m simply recommending that you make one of the three methods central to your business. That way, you’ll get a steady flow of the customers you need.